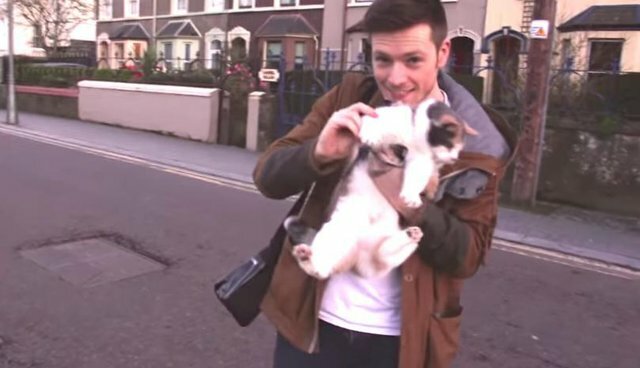 Patrick Corr wasn't a cat person ... until he adopted Stevie. 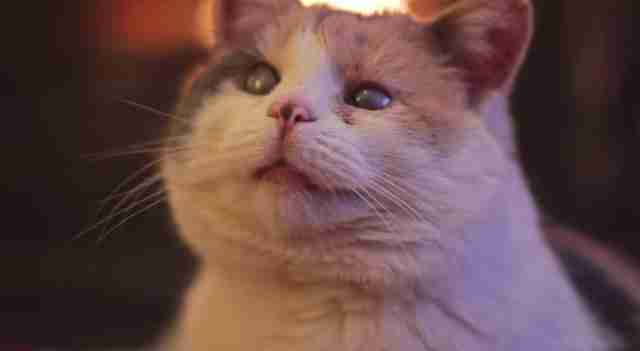 Stevie, who is blind, was already an older cat when Corr found her at a shelter in his hometown of Cork, Ireland. 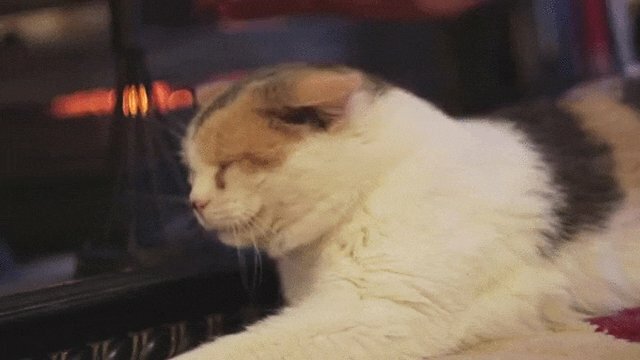 She'd been passed over again and again, while other cats were adopted and went to their forever homes. As soon as Corr met her, he knew she was the one. Stevie doesn't know she's any different - she's just thrilled to have a human to love. In a YouTube video, Corr describes Stevie's hobbies as "chasing whatever I drop on the floor, getting lots of attention [and] interrupting me every time I'm busy." Corr had to make some adjustments to help Stevie out - like keeping everything in his house in the exact same place, all of the time. Of course, he's happy to do whatever it takes to keep Stevie independent. Thanks to the love and support from her human, Stevie is fearless, Corr says. 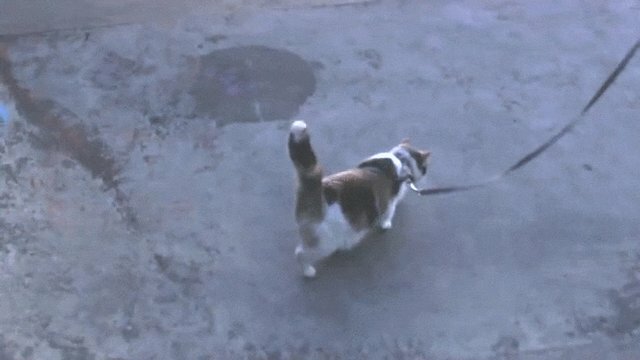 He even takes her on walks. It's clear that Corr and Stevie share an incredible bond. "She changed my life forever," Corr posted online. 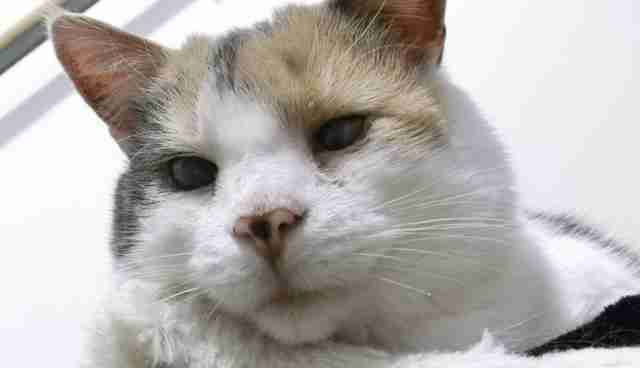 As an older cat with special needs, Stevie's chances at finding a loving forever home were slim. But something about her made Corr know that she would be an amazing companion, and it's pretty clear that these two make each other very happy. Now they even climb mountains together! If you're ready to adopt an older cat, check listings of adoptable animals on Petfinder.